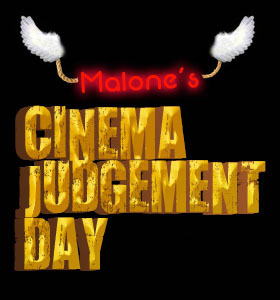 Written by: Malone on October 15, 2013. Walter White has done what poor, old Stephanie Tanner couldn’t – he’s single handedly made meth pop culture’s drug du jour. Need proof? You could run out to Best Buy and check out “Grand Theft Auto V” with its meth dealing anti-hero Trevor. 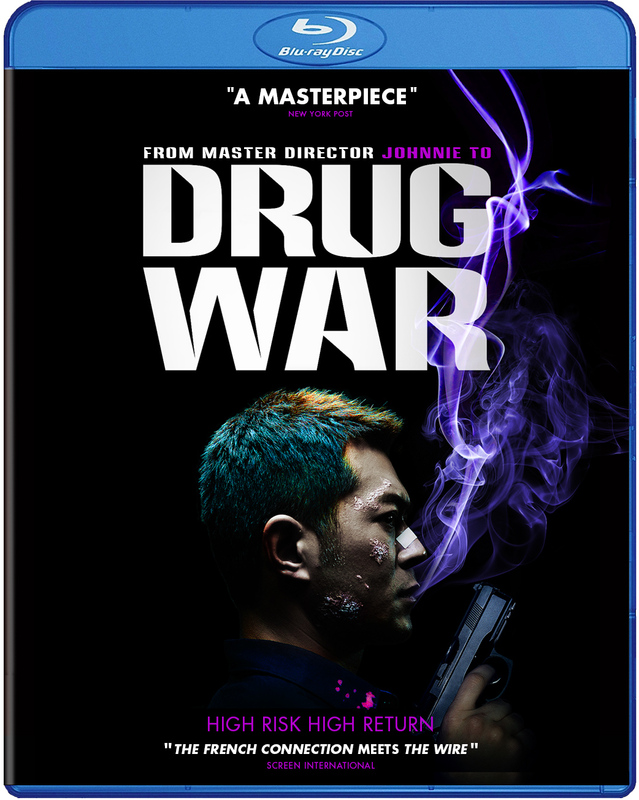 Better yet, you could go half way around the world to Hong Kong and scope Johnnie To’s new action thriller “Drug War” to see how far this trend has gone. What? You don’t want to hop a flight to Asia? You’re in luck! On 10/15 Well Go USA brings the film to Blu-Ray, right here in the States. This badass film is fun, exciting and violent… and while it doesn’t share much with “Breaking Bad”, you might think of it as a Hong Kong movie version of “GTA”. I don’t think anybody would complain about that. Want to die in China? One way to do it is to manufacture 50 grams of meth. That’ll earn you the death penalty. Timmy Choi (Lois Koo) doesn’t deal in grams… he works in pounds. When he’s taken into custody by Captain Zhang (Sun Honglei), Choi’s only able to save his skin by turning informant. Ratting on the cartel he’s be working for, Choi spends the next 72 hours helping the cops set up a sting that’ll bring the whole ring down. But as Choi and Zhang get deeper in, it becomes less clear who’s in control: the Captain or the criminal. Johnnie To keeps things simple in how his characters are presented. The cops are good guys, the criminals are bad. There is no moral ambiguity. As a matter of fact, the good guys are almost like knights in shining armor; brave, cool and ready to fight for what’s right, no matter the cost. The bad guys are shaky, spineless and underhanded. In that respect “Drug War” is sort of like a fairy tale… with guns. That said, I get the feeling that this white good triumphs over black evil with no mention of gray could be a result of To shooting entirely in mainland China. Surprisingly, this doesn’t hurt the film one bit and it’s interesting to see how a Hong Kong filmmaker is able to handle himself with such known media restrictions. Let me also state the mainland’s censorship clearly doesn’t apply to violence. When things get cooking, there is no shortage of bullets and blood, which certainly keeps tensions high. There are a particularly brutal couple of assassins known as the Mute Brothers (who are actually deaf) that are colder than cold. Even when they’re mowing down a SWAT team in their pajamas. Drug use is also permitted, as shown in one scene where an undercover Captain Zhang is basically forced to OD to prove he’s not a cop. Honestly, I don’t know what the Chinese rules are against showing this stuff, but it’s certainly not glamorized in any way, like it was in, say, “Blow”. In fact, “Drug War” has one of the least glamorous endings I’ve ever seen and it haunted me in a way few things have since watch “Desperate Lives” when I was 6. Timmy Choi (Louis Koo) is willing to sell out anyone to save himself. But what’s he hiding? The performances are excellent, particularly with Sun Honglei’s “Captain Zhang”. When we first follow him undercover to meet a smuggler named “Ha Ha”, we see him keep his cool in character. Later, as the sting progresses and Zhang is introduced to higher ups in the ring, he assumes the identity of “Ha Ha” and literally transforms into a different person. It’s seriously one of the best performances I’ve seen in a film, foreign or domestic. 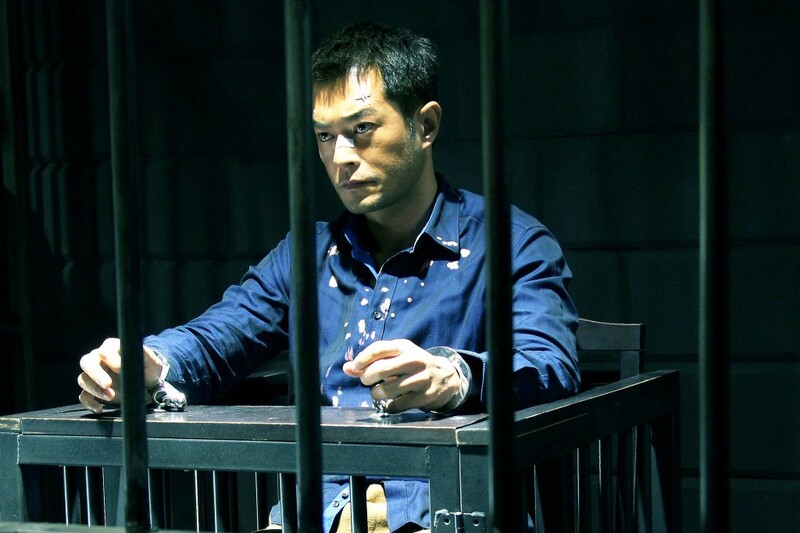 Louis Koo also does a fine job with Timmy Choi, playing the role with lots of fluctuating emotion. When reunited with his meth crew, he recounts the death of his wife with such realism, you can’t help but well up along with him. Quite a feat, when the actor is speaking a different language. There were a few times when I noticed background details coming in blurry, but in general the Blu-Ray’s picture quality is good. Foreground imagery is always sharp and detailed. The audio track comes through in 5.1 DTS-HD MA surround, with the Mandarin dialogue coming in clearly from the center. Gunfights make good use of surround channels and it all sounds clear as a bell. Aside from the film’s trailer (and the mandatory movie adverts), there are no extras provided on the disc. 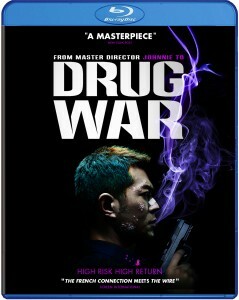 “Drug War” scores 3.5 out of 4 angels. I don’t know if I’d say the film is a masterpiece, but it’s pretty damn cool. Much more subversive and edgier than you’d expect from a Chinese film, Johnnie To delivers the goods with a movie that grabs hold and doesn’t let go. Kind of like meth, but not as bad for your complexion.